BAFTA nominated writer Sarah Phelps returns to explore the 20th Century through Christie’s work. This time the setting is the 1930s; a time when the nation is dangerously divided and suspicion and hatred are on the rise. In the midst of this Poirot faces a serial killer known only as A.B.C. First the killer strikes in Andover, then Bexhill. As the murder count rises, the only clue is the copy of The ABC Railway Guide at each crime scene. Poirot’s investigations are thwarted at every turn by an enemy determined to outsmart him. If Poirot is to match his nemesis then everything about him will be called into question; his authority, his integrity, his past, his identity. Due to start filming in June, John Malkovich will lead the cast as Hercule Poirot. 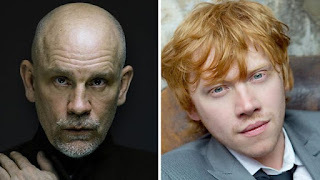 Also joining the cast are Rupert Grint as Inspector Crome, Andrew Buchan as Franklin Clarke, Eamon Farren playing Cust, Tara Fitzgerald as Lady Hermione Clarke, Bronwyn James in the role of Megan and Freya Mavor as Thora Grey. This one off three-part drama marks the return of Poirot to television and continues BBC One and Agatha Christie Limited’s unique production deal that will see Agatha Christie Limited and Mammoth Screen deliver six more Christie adaptations. Filming for The ABC Murders begins next month and will be directed by Alex Gabassi (The Frankenstein Chronicles, El Hipnotizador) and produced by BAFTA nominated Farah Abushwesha (Irreplaceable You, The Party). The ABC Murders is a Mammoth Screen and Agatha Christie Limited drama for BBC One. The executive producers are Sarah Phelps, Damien Timmer and Helen Ziegler for Mammoth Screen, James Prichard and Basi Akpabio for Agatha Christie Limited and Elizabeth Kilgarriff for BBC.